So August is around the corner. Yep, already. August is always pretty exciting for us. We have A LOT of birthdays to celebrate...both of my boys, my dad, my little brother, a niece and my goddaughter. So much fun to plan and be a part of! I think the boys want a bowling party this year, so that should be fairly easy to put together. I don't really have a lot planned for this week. 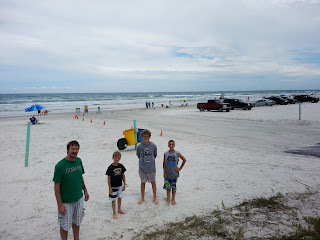 On Wednesday, the boys and I are going to a state park for an open house homeschool group thingy. I'm not sure of too many details...but a friend has been doing it with her boys for a while, and it's all about nature outdoorsy stuffs (exploring local species, animal habitats, etc), so I know my boys would love it. We would only meet once a month, so it would be something easily inserted into our schedules. Other than that, I think we'll concentrate on game play and reading. I'm going to try to stump the boys with words from their spelling lists on the hangman game they play, lol. As parents, we always find ourselves looking at our kiddos and wondering where our little babies went, don't we? I know I do. All the time. Time just goes by so fast and I'm left wondering if the next time I blink, my kids are going to be driving, or starting college, or getting married, lol. Why am I all sniveley and reminiscey (yep, for now, those are real words)? We spent some time this week talking about our upcoming school year. Braeden is going to be in the 4th grade and Bailey in the 9th. Bailey, even though he won't officially start the next grade level until right after Labor Day, is so excited he's asked if he can spend some time in the high school courses, just to see how they are going to be. Blows my mind that the kiddo is asking to do additional schoolwork, lol. High school. Man. It was just yesterday when we started our homeschooling journey and he was in 1st grade. And Braeden...gosh...my baby is going into 4th grade. He's going from a "lower school" login to an "upper school" login in T4L and that is a very big deal for him. I remember when he was 2 and 3 and begged to do school like Booboo (to this day, this is still what he calls his older brother and I love it). Now, *I'm* the one doing the begging. He's much more excited about the idea of school, than he is about the actual doing of school, lol. Ah well, it's a cycle. I hit it with Bailey, so at least I was prepared to hit it this time around. Growing up is a good thing. I know that. I'm excited about what their futures hold and I can't wait to see how their lives unfold. But sometimes it's just so hard to let go of those "little boys" so they can become "big boys." 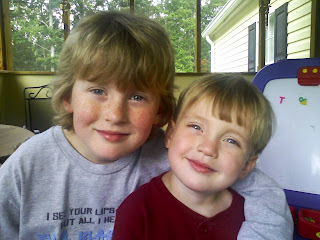 Fall 2007, so Bailey (turning 14 next month) was 8 and Braeden (turning 9 next month) was 3. We don't get to have them too often, but we LOVE them when they happen! 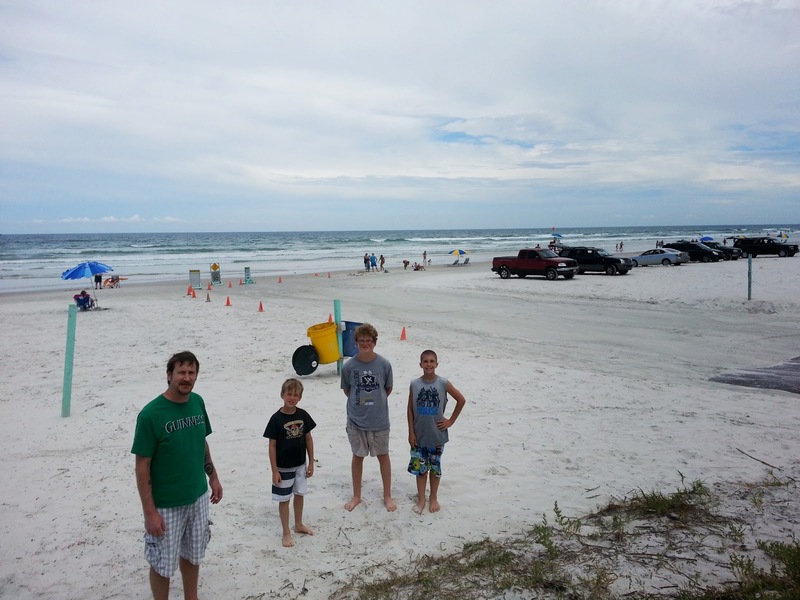 This past week, my parents took my boys and my nephew to Daytona Beach for the week. Since this is one of our favorite places to go, the hubs and I decided to come join them just for the weekend. Even though it's a short trip, it's so refreshing to just have a break, ya know? 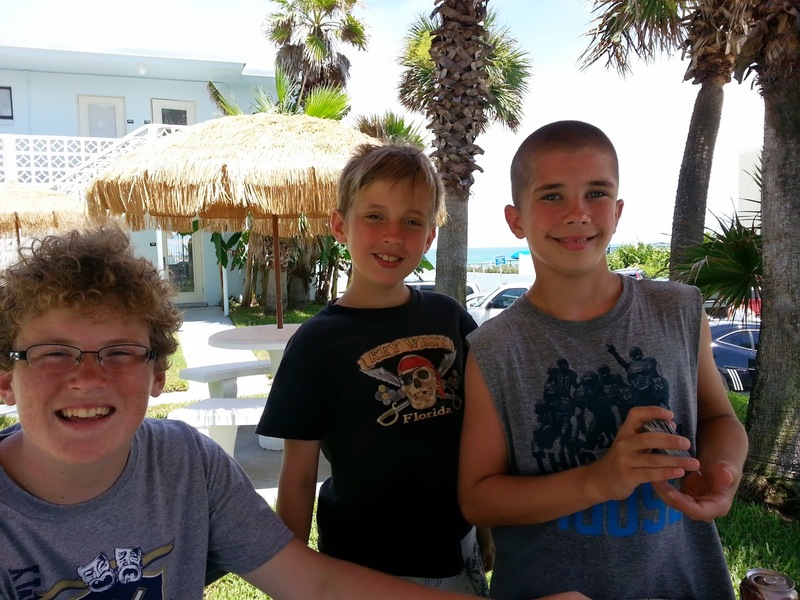 The boys have had a great time, and have enjoyed their week of unschooling, lol. We will get home tomorrow night sometime, and next week Bailey is taking his first peek at his new high school curriculum...except that it's not new, it's Time4Learning!!!!!!!! Can you tell I'm excited about that, lol? They just announced that they will start offering high school courses, and we were all (yes, including Bailey!) ridiculously happy when we heard the news. Bailey has been using T4L since 2nd grade, so for him, being able to stick with what he knows is wonderful. For me too! Braeden is going to learn more about science tools and will continue to read the book he's working on. He found an old copy of The Wizard of Oz at a used book store, so he's been reading that and enjoying it. I will spend the week trying to defend myself from the laundry demon. The boys and I will resume our Harry Potter summer movie marathon with Deathly Hallows Part 1 this week, and at some point, we are hoping to go see Pacific Rim too. I enjoy social media. For the most part. I try to not whine on Facebook or Twitter (I mostly save that for my lucky blog readers, lol) and I've never posted a "selfie." I do post about my kiddos every now and then, but I also post about myself and my interests. I share funny memes and I follow and "like" a lot of my favorite movies, TV shows, musicians, authors, etc. Having said all that, I'm a lurker much more than a poster. I read what others are sharing, and tweeting. Why? I enjoy it. We don't have cable or satellite TV anymore, and I sometimes miss upcoming movie trailers or info about the next episode of a show I watch (we LOVE Netflix, Amazon Prime videos and On Demand programming) or the next book by my favorite author. 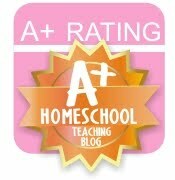 I also use both social networking platforms (as well as Pinterest too) in my homeschooling. I connect with other homeschoolers, find craft/experiments to do, learn about curricula and materials, find and download printables and games for my boys to play...just everything. 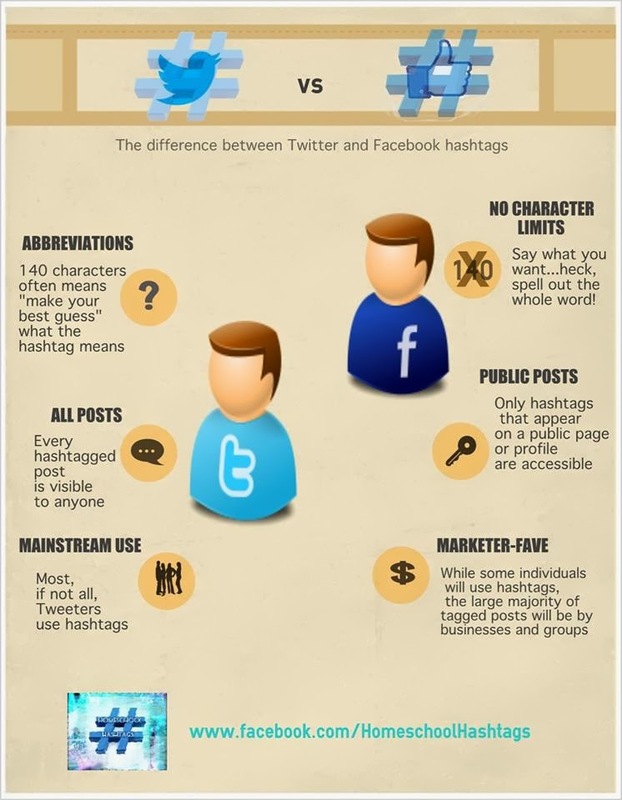 I have been using hashtags on Twitter for a long time. It makes searching for something specific SOOOO much easier! If I want to see what others are talking about in regards to spelling, I can search for #spelling or #homeschoolspelling. If I want to learn more about elementary level animal lessons, I can find others who are talking about #homeschoolelementary or ask for #homeschoolhelp. 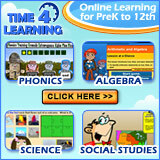 If I want to learn more about homeschooling through high school, I can look for #homeschoolhighschool info. Granted, you still have to weed through some not-so-useful posts, but for the most part, hashtagging is an incredible search tool. Anyway, that's really all I wanted to say today...just that I've discovered some really great learning/educational materials and websites through hashtag searches, and that it might be something that many of you would benefit from too. There is a Facebook page, Homeschool Hashtags, that has more information about using hashtags on FB, as well as nice list of hashtags you can use to search and share with. They are adding to this list everyday, and would love your suggestions for new hashtags to add!